Abstract : Volume caustics are high-frequency effects appearing in participating media with low opacity, when refractive interfaces are focusing the light rays. 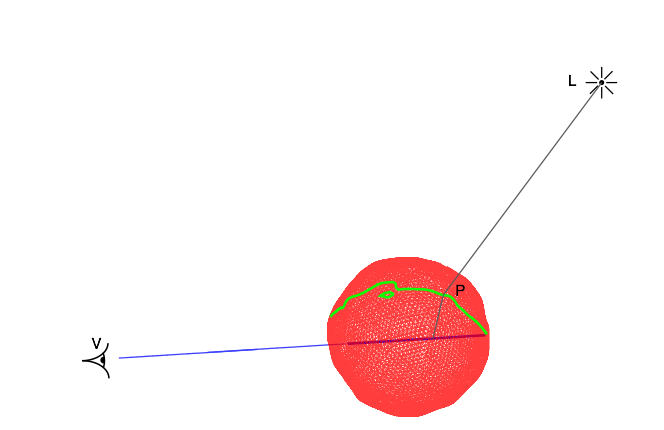 Refractions make them hard to compute, since screen locality does not correlate with spatial locality in the medium. 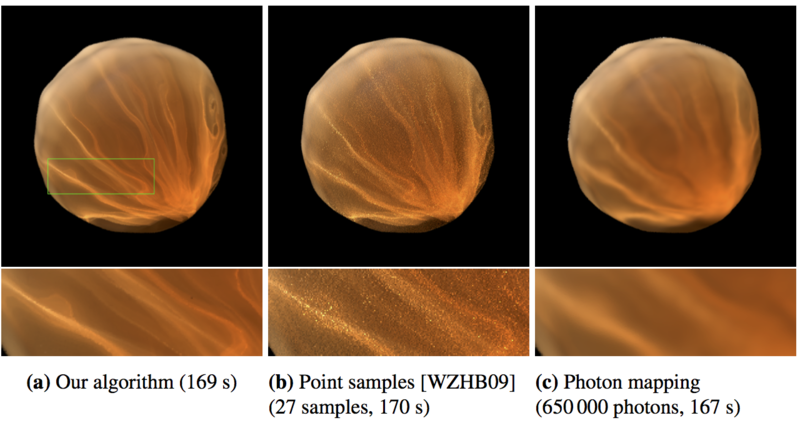 In this paper we give a new method for accurate computation of single scattering effects in a participating media enclosed by refractive interfaces. 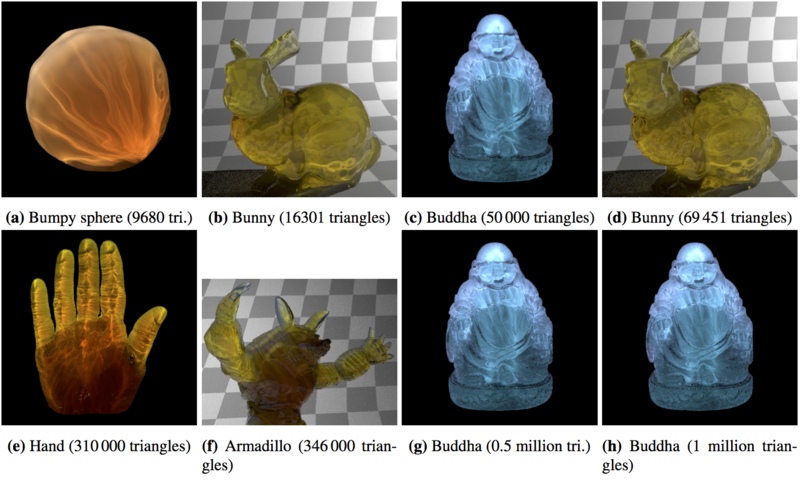 Our algorithm is based on the observation that although radiance along each camera ray is irregular, contributions from individual triangles are smooth. Our method gives more accurate results than existing methods, faster. It uses minimal information and requires no precomputation or additional data structures.